This collection of five original songs showcase both the vocal prowess, and the incredible song-writing skills of Patrizia Ferrara. On Solid Ground features a slew of amazing musicians including the Austrian pianist Wolfgang Schmidt and the Hungarian drummer Thomas Böröcz. Ferrara's influences range from jazz all the way to reggae on this EP. The only ballad Sweestest Disposition features pianist and husband Danny Grissett. Dass sich der moderne Jazz nicht notwendigerweise immer in der übermäßigen Komplexität verlieren muss, sondern auch in seiner eher zugänglicheren und smoothen Form anspruchsvoll und spannend bleiben kann, dafür liefert die Sängerin und Komponistin PATRIZIA FERRARA auf ihrer neuen EP „On Solid Ground“ den Beweis. You can choose the desired music of Patrizia, add it to the cart and checkout via PayPal – with PayPal account OR simply with credit card. Note: You will get an email with the download link within a day from the musician. There is no automatic redirection to a download link directly after payment. You can choose the desired CD's of Patrizia, add it to the cart and checkout via PayPal – with PayPal account OR simply with credit card. Note: Please choose the right option depending on the shipping address: AT (Austria), EU (European Union) or World (outside the EU). You may enter the shipping address during the checkout on PayPal. You really love the music of Patrizia and want to do more to support her music? 1. Choose the amount you want to donate. Which music do you choose? 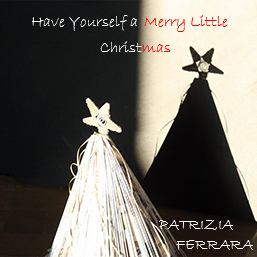 Eight beautiful original songs of Patrizia Ferrara, produced in New York in 2009. Simple Things features a slew of amazing guest musicians from New York including guitarist/producer Marcos Vigio and bassist Nathan Peck. Ferrara's influences range from old school R'n'B & jazz all the way to Brazilian MPB. She creates an amazing texture using multi-layered voices on Back Home and When You Are You. The latter features the one and only Vinx. 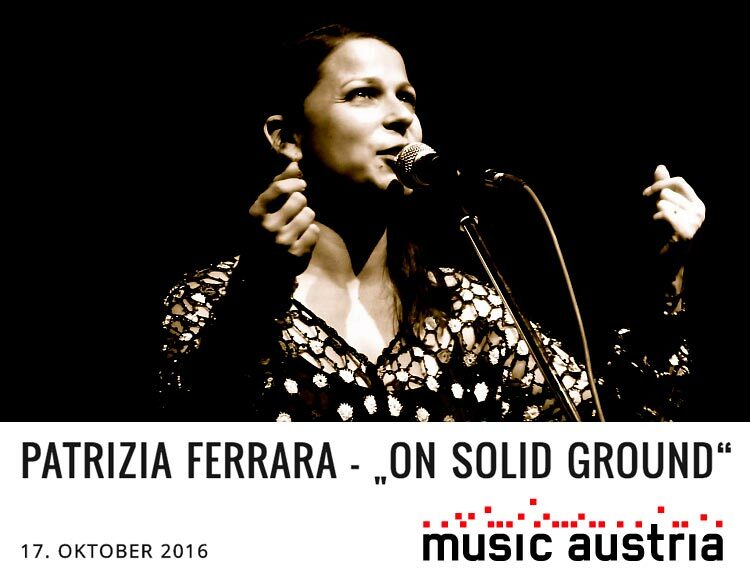 19h30 Roter Salon der OESTIG Wipplingerstraße 20, Wien, Austria Snow Owl "A Night Of Song"
Singer & Songwriter Patrizia Ferrara evokes a lot of emotion, and does so in a very «simple» way, with insightful songs, and intensive yet uncomplicated lyrics. Her elegant and soothing voice has already drawn comparisons with Billie Holiday and Norah Jones. Her original music owes most to American forms – jazz, folk and the blues. Patrizia captures her audiences with her beautiful, soothing voice and outstanding charisma. Patrizia Ferrara is the younger child of two, born into the bicultural home of her Austrian mother and Sicilian father. Settled on the border of Italy and South Austria, she grew up with the traditional sounds of Naples and 80's pop music. She was sixteen years old when she left school and moved away from home to Vienna, the capitol of Austria. She worked at the state radio station of Vienna Radiokulturhaus. At the same time she started writing her first songs and lyrics and started performing with the Brazilian singer Célia Mara on a regular basis. Self-taught, she continued to collaborate internationally with African, Colombian, Turkish and Cuban artists until she found the music that made her want to go back to school and study - JAZZ. She completed her studies of voice and piano at the Gustav Mahler Conservatory in Vienna and graduated with honors in 2003. In 2004 she met the American singer Dean Bowman and the American pianist Danny Grissett and started a collaboration. In 2005 she undertook her first New York tour with Dean Bowman, sponsored by the Austrian Cultural Institute. In 2005 Patrizia Ferrara moved to New York. A great wish came true for her when she was chosen by the New York charity organization, Healing Arts Initative Inc., to perform special concerts for sick and underprivileged children. In 2007 and 2008 she traveled to Palestine giving public performances with the support of locally-based activists Leigh Brady and Mahmoud Yassin, and the Italian General Consul of Jerusalem. 2009 she independently released her debut album «Simple Things» in New York. 2012 Patrizia Ferrara relocated to Vienna, Austria. Blue Note NYC, Brooklyn Academy Of Music NYC, Joe Zawinul's Birdland, Austrian General Consul Rabat Morocco 2013 & 2015, Le Pietri Rabat Morocco, Porgy & Bess, Vienna City Festival 2004, 2005, Sertab Erener Europe and America Tour 2003, Cafe ZAN in Ramallah/Palestine, and the Italian General Consul in Jerusalem, Woman's Collective «Femous Orchestra» at Donaufestival Krems 2011, John Cale Donaufestival Krems 2011,Jazzfest Wien Célia Mara 2012, 13,14, inauguration ceremony of a square named after Austrian Minister of woman's affairs Johanna Dohnal, 2012, MS Europa 2.
with Waldeck, Lee Scratch Perry, Waldigeroff Bros, John Heard, Dean Bowman, Vinx, James Weidman, Danny Grissett, Geri Schuller, Lonnie Plaxico, Kyle Eastwood, Célia Mara, DJ DSL, Marcos Vigio, and Jorge Amorim, Sertab Erener (winner of the Eurovision song contest 2003), Jon Sass (Ray Anderson, Boston Symphony Brass, David Murry), Chester C. Washington (Earth, Wind and Fire), Rudi Wilfer, Fred Eisler, DJ Cut-EX, DSL, and the poet Christian Ide Hintze, may he rest in peace. Die Sängerin und Komponistin Patrizia Ferrara erzählt in Ihren Liedern persönliche Geschichten und erweckt dabei große Emotionen. Ihr elegantes Auftreten erinnert an die wunderbare Zeit des «dolce vita», auch ihre familiären Wurzeln liegen in Italien. Ihre Lieder führen uns in eine kultivierte Welt zwischen «Sing a Song Writing» und «Easy listening Jazz», die Leichtigkeit und Eleganz der Komposition besticht sofort und Ihre samtige Stimme erinnert an eine moderne «Billie Holliday». Die Arrangements sind kompromisslos sparsam und klar und bringen so ihre Songs und ihre Stimme optimal zur Geltung. Patrizia Ferrara wuchs mit der neapolitanischen Folklore und der Popmusik der 80iger Jahre auf. Sie ist das jüngere Kind einer Österreicherin und eines Sizilianers und wuchs an der Grenze von Österreich zu Italien auf. Mit sechzehn Jahren ging sie von zu Hause weg, in die österreichische Hauptstadt Wien und arbeitete im Radiokulturhaus als Künstlerbetreuerin. Nebenbei begann sie Lieder zu schreiben und wurde bald darauf in der Band der brasilianischen Sängerin Célia Mara aufgenommen. Autodidakt ging die Zusammenarbeit mit internationalen Künstlern weiter, als sie mehr aus Zufall den «Jazz» kennenlernte und gleich darauf hin ein Musikstudium begann. 2003 Jazzgesang Diplom mit Auszeichnung am Gustav Mahler Konservatorium. 2004 traf sie auf den amerikanischen Sänger Dean Bowman und es folgte eine wunderbare Zusammenarbeit. Gesangs Duette im Stil von Donny Hathaway und Roberta Flack, die einerseits im Soul und andererseits im Stil von Lambert, Hendricks and Ross verwurzelt sind. 2005 Umzug in die USA und die erste Tournee in den Vereinigten Staaten mit Dean Bowman unterstützt vom Austrian Cultural Institute in New York. Ein grosser Wunsch erfüllt sich für Patrizia Ferrara als sie 2006 von der renommierten New Yorker Wohltätigkeitsorganisation Healing Arts Initiative Inc. auserwählt wird, spezielle Konzerte für schwerkranke und auch unterprivilegierte Kinder zu spielen. 2007 und 2008 reiste sie nach Palästina und gab dort Konzerte mit der Hilfe von Aktivisten Leigh Brady und Mahmoud Yassin. 2009 Debut CD Release «Simple Things» in New York. Blue Note NYC, Österreichisches Konsulat in Rabat Marokko 2013, Musikwerkstatt Wels, Jazzclub Le Pietri in Rabat Marokko, Akademie der Musik in Brooklyn/NYC, 55 Bar NYC, Zinc Bar NYC, Smoke NYC, Austrian Cultural Forum NYC, Sertab Erener Europa-Amerika Tour 2003, Cafe ZAN Ramallah/Palestine 2007, Italienisches Konsulat in Jerusalem 2008. Joe Zawinul's Birdland Wien, Porgy & Bess Wien, Stadtfest Wien 2004 und 2005, Donauinselfest, Frauenkollektiv «Femous Orchestra» Donaufestival Krems 2011, John Cale Donaufestival Krems 2011, Jazzfest Wien Célia Mara 2012, 13,14, Frauenminister Johanna Dohnal Platzbenennungsfeier mit dem Femous Orchestra 2012, Wir sind Wien mit dem Projekt «Waschen macht sound», transkuturelle Narrativen. Globalista, brunnhilde djane-kollektiv & Femous Orchestra, MS Europa 2. Waldeck, Lee Scratch Perry, Waldigeroff Bros, John Heard, Dean Bowman, Vinx, James Weidman, Danny Grissett, Lonnie Plaxico, Kyle Eastwood, Geri Schuller, Martin Spitzer, Bertl Mayer, Célia Mara, DJ DSL, John Sass, Al Haka, Marcos Vigio, Jorge Amorim, Sertab Erener (Gewinnerin Eurovision song contest 2003), Jon Sass, Chester C. Washington (Earth, Wind and Fire), Rudi Wilfer, Fred Eisler, DJ Cut-EX, DSL, Urbs (G-Stone Records the label of Kruder and Dorfmeister), Al Haka, und dem grossen und leider schon verstorbenen österreichische Performance- und Multimedîapoet Christian Ide Hintze.